Our founder & ceo, Roberto Barile is now operating for more than 15 years professionally in our beloved maritime industry. It all started in the year 2000, when his hobby became a real profession. Coming from a small Balearic island called Ibiza where his company, formerly known as HQ-Charter has had her first rise up being founded in Germany, Duisburg. 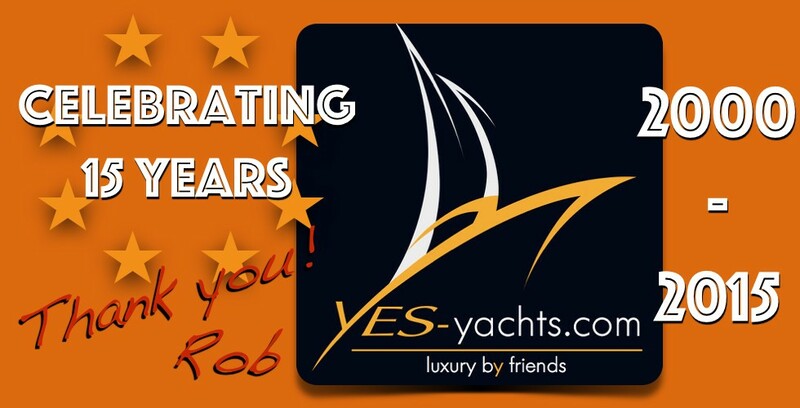 The foundation of YES-yachts.com was set and the evolution towards today’s YES- Yachting Exclusive Services (short: YES-yachts) just got unstoppable. Some helpful side experiences in the worlds leading brokerage houses and “Luxury by friends” got into action. A positive tsunami of yachting experiences and also a call to perfection. Roberto’s aim is always to differ from the old school thinking being on the path of a still young and successful globally operating yachting enterprise. Various yachting hot-spots later like Monaco, Barcelona, Izmir and Ft. Lauderdale and many more here we are for you to make your yachting experience even better with YES-yachts.com . I love my team and want to say THANKS to all who supported me in building up our company – following always the principle “luxury by friends” See you on the most beautiful beaches, marinas and seven seas my friends!